DIN Standards are invented for a variety of components including industrial fasteners as DIN 6792 Semi Tubular Rivets. 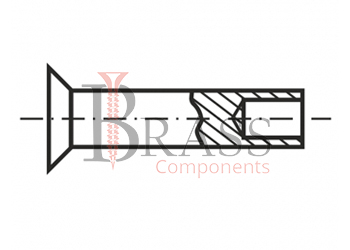 DIN 6792 Rivets are manufactured from Brass, Carbon Steel, Stainless Steel Grade A2 or A4, Brass, Alloy Steel, Plain Steel, Copper, Aluminium or many other materials. DIN 6792 Rivets are available in a wide range of sizes, shapes and materials. Metric DIN 6792 Semi Tubular Countersunk Head Rivets. 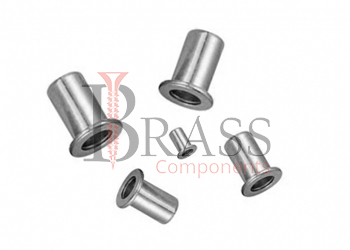 Available with nominal diameters as per given custom specification. The tolerances and limit deviations specified and also apply after coating. DIN 6972 Rivets characterized by the fact that only the rivet end has to be processed. Available with standard bright finish. Protective coating of electroplated or zinc coating. Available in different configuration as per custom specification. A load causing shear stress is permissible. The end faces are slightly flared to secure the pins from falling out. DIN 6792 Rivets have the same uses as for rivet pin. Available for general purpose fastening and joining applications. Used in Automatic Riveting machine easily. Provide Permanent and Strong Joint. We manufacture DIN 6792 Rivets as per Custom Specification and export in Germany, Spain, Netherlands, Portugal, UK and other European Countries. For more Information, Please Contact Us or Inquiry Now.